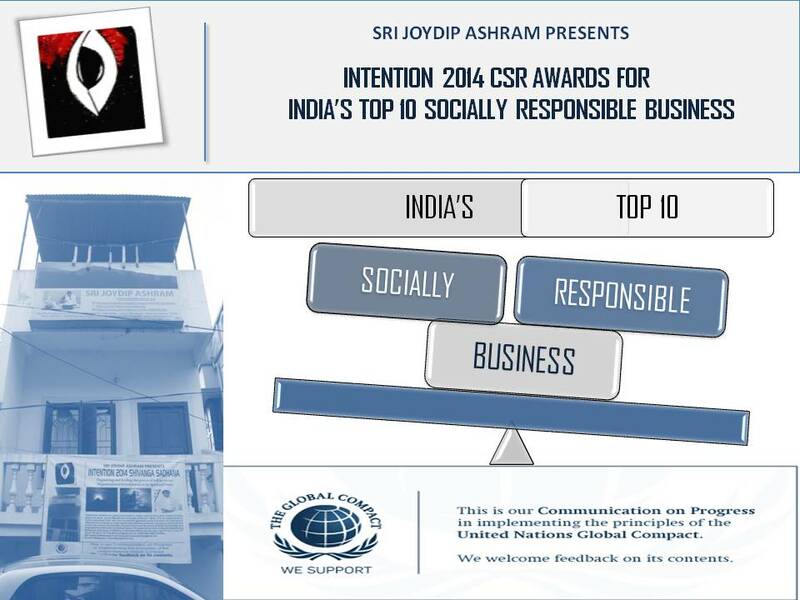 Sri Joydip Ashram , a participant of United Nations Global Compact program has pioneered a landmark initiative to recognize the organisation which has great impact in the field of Corporate Social Responsibility. A consolidated list of ‘INDIA TOP 10 SOCIALLY RESPONSIBLE BUSINESS ’, for the first time in India, based on 10 principles of United Nations Global Compact in the areas of Human Rights , Labour, Environment and Anticorruption. It is a democratic process based on voting. A high powered jury will identify the top 50 nominations and then voting will open. However, there is an option for self-nomination for Organisation, which will be further forwarded to jury for screening.